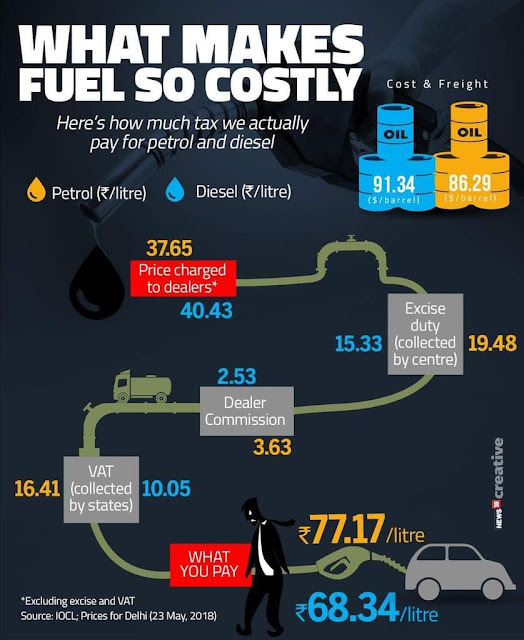 How fuel gets taxed in India? Both Central Government and State Government should give discount of atleast Rs5/- each in Petrol Prices and Diesel Prices. This will result in Rs 10 rebate. The best will be to bring fuel under GST regime.